After a few days of relaxation in Shanghai we started a little road trip to the north. 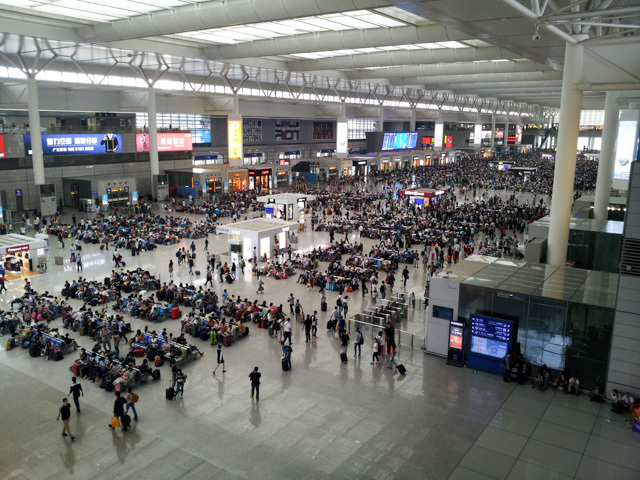 The new Shanghai train station was as big as an airport and actually looked like one, too. The situation was quite similar: crowds waiting for their time to leave, security checks and passport controls at every stairs and boarding 30 minutes before departure – no earlier access to the platforms. Once arrived in central Beijing we couldn’t find our hotel at first. Our accommodation at Kelly’s Courtyard was a typically traditional Beijing hutong (alley) house somewhere off-street around some narrow alleys. 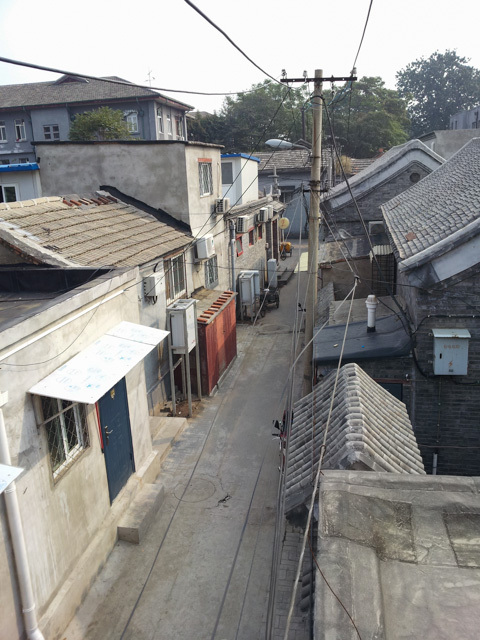 The picture above is taken from the roof top of the building. 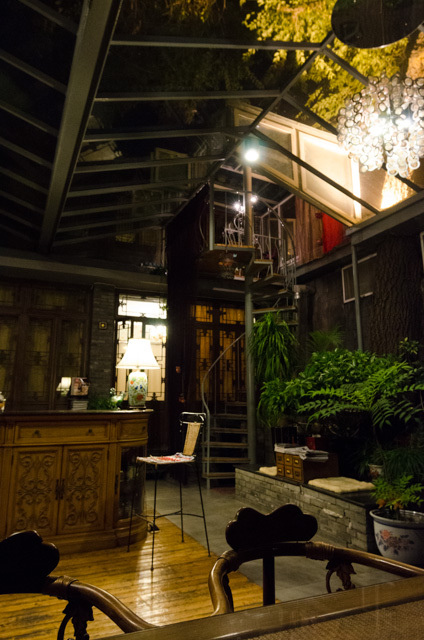 It was an original courtyard house with small guest rooms around the patio – with antique wooden walls with windows and antique furniture. 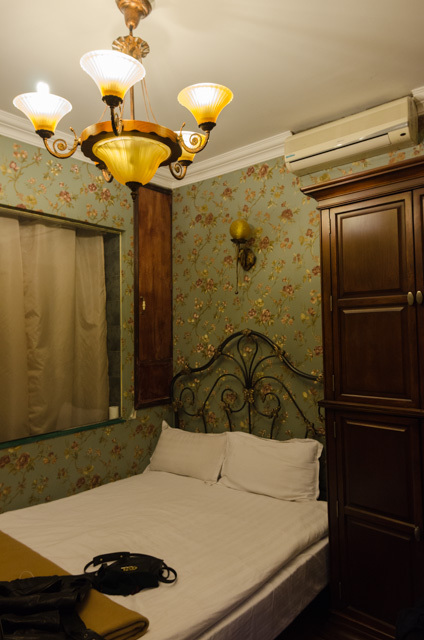 Each guestroom had it’s own unique decoration. In the morning the courtyard was used as the breakfast room, which was nice as you could enjoy your morning coffee in front of the open door of your own room. 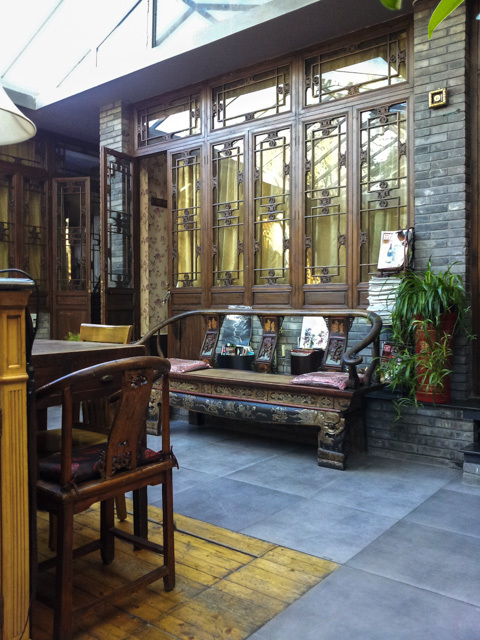 This entry was posted in Miscellaneous, Travel and tagged Beijing, hutong, kelly's courtyard, xidan on 2. October 2013 by Chris.